EMC’s Innovation Conference is, in large part, a celebration of ideas submitted by employees–particularly those that have progressed to become finalists. EMC employees have submitted over 1400 ideas to this year’s innovation contest. This is the third year of the contest, and the process for reviewing the submissions has evolved with the tremendous growth in the number of ideas. In the first year, there were a few hundred submissions and a panel of judges narrowed the ideas to a group of finalists. In the second year, there were almost a thousand submissions and a selection committee rated the ideas to help reach a group of finalists which could be reviewed by the panel of judges. In the spirit of building on the innovation network, the entire EMC community has the opportunity to review and vote on all of the ideas that are in the system. We had a long discussion on the EMC internal wiki site about how to make sure that the community vote does not become a popularity contest. One of the outcomes of the discussion was that a selection committee chosen from the senior technical staff (see Polly Pearson’s post on the EMC Distinguished Engineer and Fellow program) will also review the submissions. I’ve had the honor of being part of the committee (I’ve been nominated to help by a distinguished engineer) last year and this year. Ideas from both the community and the committee will be designated as finalists. The panel of judges will then choose the winners. But which is a better indicator that an idea is truly innovative: the finalists that get the most community votes, or those that the “experts” pick? On the right is a 2×2 grid; one axis is popularity and the other is technical value. The community defines popularity, and the selection committee should be able to determine technical value. It should be obvious that anything that is neither popular nor of technical value (quadrant 1) does not need to be considered further. Out of the remaining choices, would the overlap between the two groups (quadrant 4) be the best, since they are both popular and of technical value? Should something that the community chose, but not the selection committee (quadrant 3) be eliminated for being popular, but not necessarily of high technical value? Do we trust the selection committee to spot the innovation that is not high in popularity (quadrant 2)? While the contest is not exactly a battle of wits to the death, it is inconceivable that we can simply choose one of the quadrants. There is a large cross-section of ideas across not only EMC’s breadth of products and services, but also process enhancements. Some ideas are incremental improvements, and some are adjacent or outside EMC’s current marketplace. In general, we look to provide a climate where there is encouragement for all ideas. While only a select few will win prizes, the contest and the conference help to make innovation a popular idea. I have discussed before that groups and cultures have specific terminology and language that build bonds and improved discussions through common education and use. At EMC Corporation, we have created an Innovation Conference with a goal of fostering the engagement of all employees in the process of innovation. For the third year, a contest is being held where all employees are encouraged to submit innovative product or process ideas (see Len Devanna’s post about the submission site). I had the pleasure of attending the first two years of the Innovation Conference, and they were fantastic events (see Steve Todd’s post about last year’s conference). We brought together approximately three hundred people at a two-day conference to meet the finalists (who would share their ideas), listen to a variety of industry speakers and immerse themselves in discussions with others who are interested in innovation. This year, rather than bringing all of the finalists and the entire conference to EMC’s headquarters in Massachusetts, we will be having a global day of innovation. The conference will have a dozen regional sites around the world: each of EMC’s Centers of Excellence (the primary site being Bangalore, India) and a handful of other facilities. Some of the content will be broadcast worldwide from India, and some will be hosted locally at each of the sites. For employees who can’t attend in person, some of the conference activities will be available remotely. Much of the content from each conference will be recorded and made available internally on the EMC|ONE internal site. We’ve had strong participation from the various EMC sites, and the globalization will allow for much greater reach of the conference around the world, facilitating regional and global connections. Many people who would never have considered themselves innovators, once exposed to the conference, get a basic knowledge of the innovation discussions – the language of innovation – and are more likely to participate in innovation-related activity. Innovation is an ongoing process. Throughout the last year, certain topics have been shared externally through the Innovation Network Lecture Series; details can be found on the EMC Community Network (ECN) site (see https://community.emc.com/community/labs?view=tags&tags=innovation_lecture_series). We will continue to grow the material and discussions on the ECN site. Expectations of how fast email should be responded to vary greatly. Many treat all email as Urgent & Important (see my discussion of where Twitter falls on Covey’s 4 quadrants). In the mid-90’s when it could sometimes hours (or “next day”) for email to get from one company to another, now some people feel obligated to answer in minutes. Email is not geared well for real-time communication, nor is a worker efficient if they have to pounce every time new mail is arriving. Workers can become inundated with the volume of messages received since they are often subscribed to too many lists, or are in the middle of too many conversations (GMail’s interface provides threading, but Outlook handles threads very poorly – sort by subject and hope you can follow what is going on). 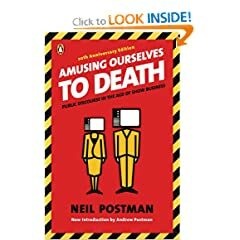 As Neil Postman said, the tool tends to shape the communication, and email use can go even further by having workers spending their days doing nothing but sending and receiving emails. Now I’m no suggesting that we should get rid of email (nor would I claim that email is dead or even that you should take a day a week away from email), rather like PowerPoint, it should be used when necessary and with consideration to the intent and audience. The challenge today is that no single tool is best for all communications. Hutch Carpenter wrote a nice article describing how Google Wave gives a “Beautiful Potential, Faraway Dream”; until the dream is realized, you can either stick to using email or try and leverage a number of tools. I use a mix of email, instant messenger, Twitter, Facebook, FriendFeed, wikis, and blogs/RSS (not to mention phone, videoconferencing and when ever possible IRL). Most people aren’t going to want to learn or toggle between so many tools, but if you can efficiently add just a couple of options, you can take control of the communication rather than the being constrained by the tools. Do you see the email issue getting better? Will we just need to wait until the large enterprise tools have this functionality built in? When I first started looking at the blogosphere, I saw that to be successful, you need a subject (there appears to be an audience for most subjects on the long tail of niches), some credibility in the subject, passion and a regular posting schedule. A year ago, I wasn’t sure what I wanted to talk about other than Facebook didn’t give me enough flexibility and Twitter didn’t give me enough characters. I started an account on Tumblr, because it was very easy, so the barrier to entry made it very easy to just start posting. My primary topic of conversation was the various tools of Web 2.0 such as RSS, Facebook, LinkedIn, Twitter and FriendFeed and my audience was my mother and some coworkers. For those that were interested, they could read along with my online journey. The blog was also a good place to post any of the material that I was creating on FCoE. I had titled the original blog “Blog Stu” as a tribute to “Chat Stew” on The Soup as well as that my material would be a mix of ingredients, but hopefully when simmered together, would make some sense. In my job, I work cross-functionally to examine technologies and hopefully find synergies that allow groups to share knowledge and resources. I believe that social media tools have the opportunity to allow the same thing. It takes some effort to learn the tools, but when used properly, you can find people and information that you might not have access to otherwise. While the Tumblr site was simple to use, it had a number of limitations. I added in discussions via Disqus and while it doesn’t have a search, I could tag posts to allow for grouping of posts by subject or event. Tumblr posts don’t seem to get indexed on Google as frequently as other sites. The turning point for me was when I had the opportunity to attend the World Innovation Forum in New York City as a blogger. I posted a few blog entries and got some good feedback on my content. I have also been working with EMC’s social media community and thought that a more professional looking blog wouldn’t be a bad thing to have. So, my subject is the adoption of technologies, spanning from the storage networking technologies that I cover such as iSCSI and FCoE and the social media space. I see a lot of paralells between the spaces: there are those who will tell you that a single technology or tool is the best, but my position is that it is difficult for businesses or people to make changes and therefore we need to look at not just what technology is the best, but what the impact is on how your processes. As I wrote in a post inspired by futurist, Paul Saffo, it is not through partisan or entrenched positions that we can drive change, but through open dialogue and debate. My aim of this blog is to help be a catalyst for discussion and debate. I also like to help connect people to information and people that I find useful. I tend to do this by linking to the sites that inspire or inform me. As for the guidelines that I laid out for blogging, I have a topic and passion. As for credibility, I will list myself as an enthusiast and searcher of knowledge, hopefully you will find the content worth reading and discussing. I will try to post 1-2 times per week, I hope that you will consider subscribing to the blog. I’m still happy with the name Blog Stu, hopefully like the content, a bit amusing and not taking myself too seriously. 😉 Just as Hollywood has been reusing the same characters/universes in movies, I hope to bring my “rebooted” blog to a those that are interested in the content and conversation. Please let me know what you think of the content or any tips on the new site (I expect to be playing with the layout). You are currently browsing the Blog Stu - Stuart Miniman blog archives for July, 2009.